1/4 teaspoon of: salt, sugar, and soy sauce. You will need rice cooker or a pot to cook the rice, and a frying pan. Wash and cook the rice following rice cooker's instructions or package of the rice if you cook it in the pot. 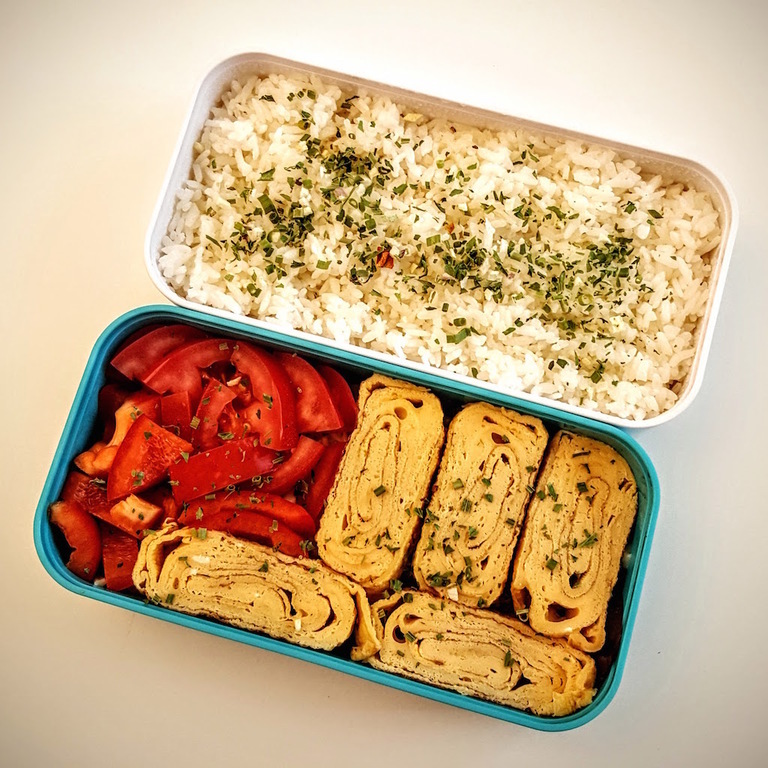 You can cook rice while you prepare everything else, then fill the bento container with steaming rice and set aside to cool down. 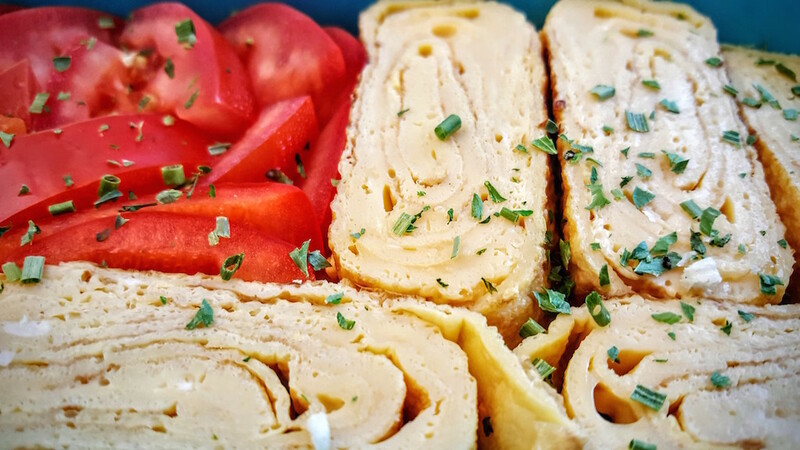 Follow instructions to cook tamagoyaki, then let it cool for a minute or two and slice it into 1.5cm slices. Rinse and dry the lettuce, and other vegetables. Fill the bento container with lettuce, then sprinkle on top with grated cheese. Cut or slice vetegables: tomato, cucumber, or red pepper. 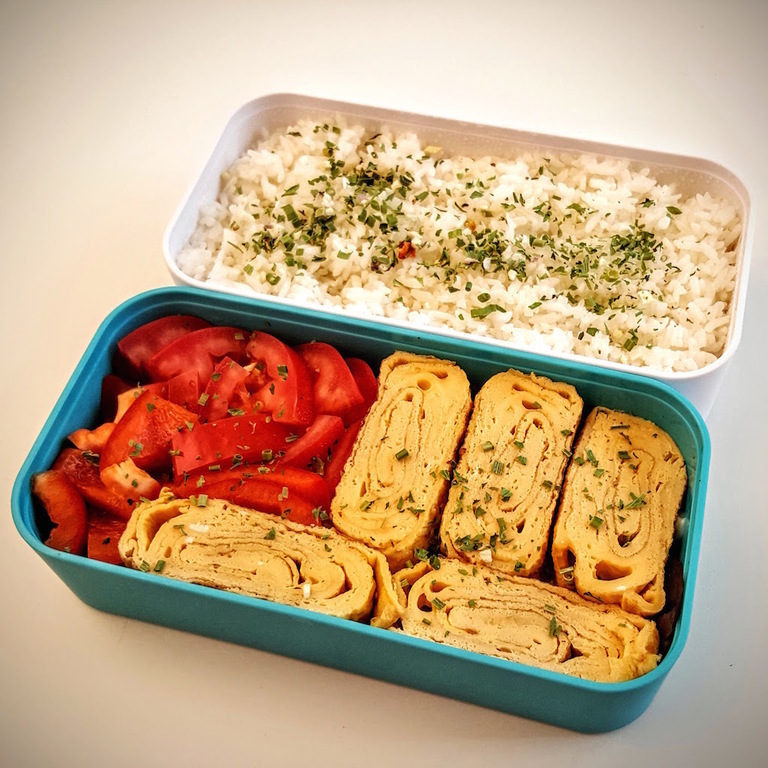 Place tamagoyaki slices on top of the cheese-sprinkled lettuce, then fill the remaining space with vegetables. Sprinkle with herbs or spices. Let both containers to cool down, then close and you're ready to go!